The 'Olympico' is a clash between two of France's biggest clubs. The Choc des Olympiques is well known for the competivness it creates between both club's players, staff and supporters. With talented individuals such as Marseille's Dimitri Payet and Lyon's Memphis Depay on display, this match is sure to be a engrossing spectacle. Watch the Choc des Olympiques from seats of your choice! 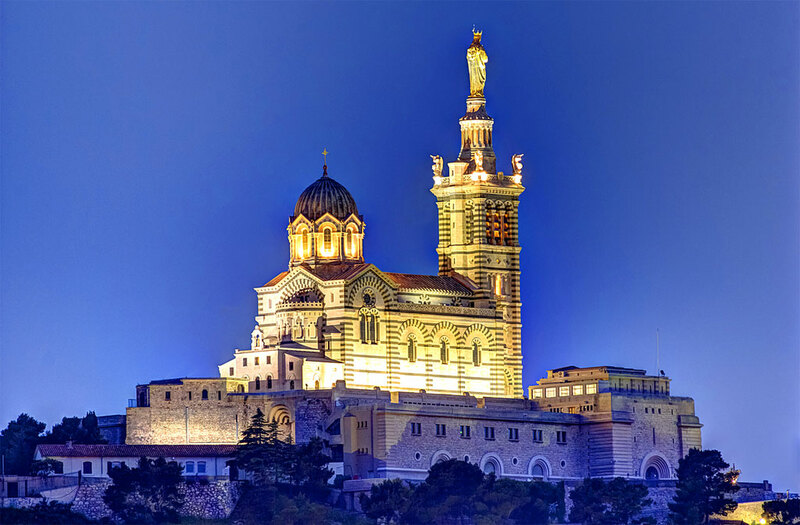 Add Stadium Tours, see the Basilique Notre Dame de la Garde and much more! The Stade Velodrome has a capacity of 67,394 and has been the home of Olympique de Marseille since 1937. Known for its iconic curved stands, the Velodrome is a icon of the city, with it playing host to many sports such as Rugby. In 2014 the stadium was renovated and a roof now covers the stadium, this has helped to significantly increase the quality of the atmosphere during home games. 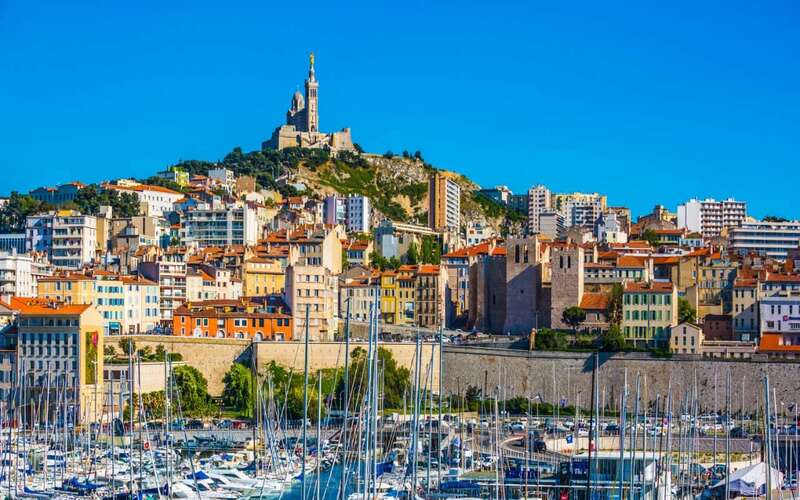 Marseille is located in the south of France, known for its hot Mediterranean climates and fishing industry, Marseille is the second largest city in France. It has previously been named as the European capital of sport back in 2017, with the iconic Stade Velodrome stadium having played host to a wide array of sporting events. The city is also well know for its cosmopolitan population, this is due to the fact that it is seen as the main gateway to France. Also known as 'Our Lady of the Guard', the Basilique Notre Dame de la Garde is seen as the city's most recognisable monument. Built on the remains of an ancient fort in 1864, it sits upon the highest point in the city and is the most visited location in Marseille. The church offers stunning views of both the city and the surrounding Mediterranean. Marseille, like most European cities has an extensive bus network, two metro lines and two tram lines. One trip on public transport costs around 1.70 euros, where as you can buy a 10- trip ticket for 14 euros. The city centre is around 20-30 minutes away from the airport by train.